It’s been a busy few days in Devil land…and for myself as well. 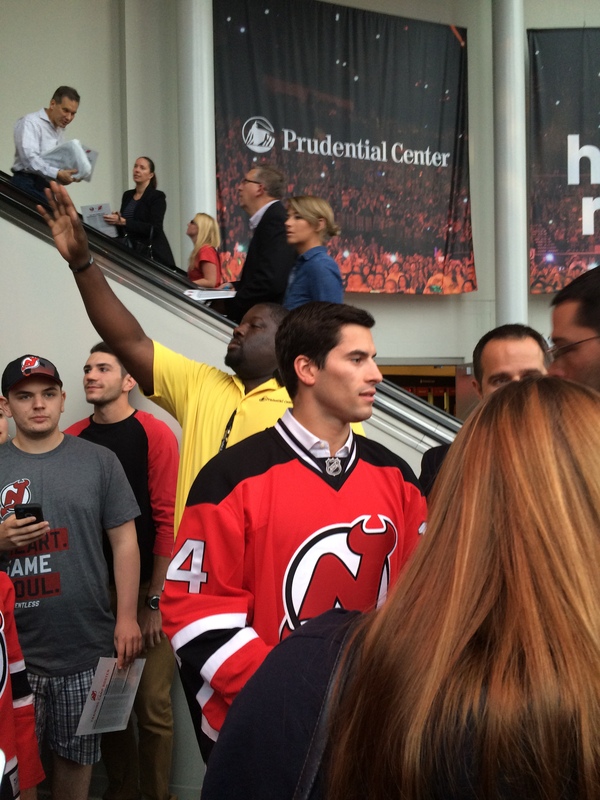 With A-Devils camp officially opening for business this afternoon (and the first games coming up later this week), let’s get caught up with how training camp in the Garden State has been going. Going back to juniors: goaltender Mackenzie Blackwood (Barrie/OHL); defensemen Josh Jacobs (Sarnia/OHL), Ryan Rehill (Kamloops/WHL), and Colton White (Sault Ste. Marie/OHL); and forwards Brandon Baddock (Edmonton/WHL), Connor Chatham (Flint/OHL), and Blake Speers (Sault Ste. Marie/OHL). Alexandre Goulet, who had been in camp on an amateur tryout, was also let go. Going to Albany: Yann Danis, Dan Kelly, Jacob Sweeney, Graham Black, Chris McKelvie, Rod Pelley, and Ben Thomson. The Albany seven will join Joe Faust, Max Novak, Corbin McPherson (all on AHL contracts) and Alexandre Carrier, David Shields, and Gunnar Hughes (tryouts) at Albany’s camp. -Friday night myself and a friend called ourselves up to New Jersey to check out the first home exhibition game. And I must say, I’m glad I made the trip. 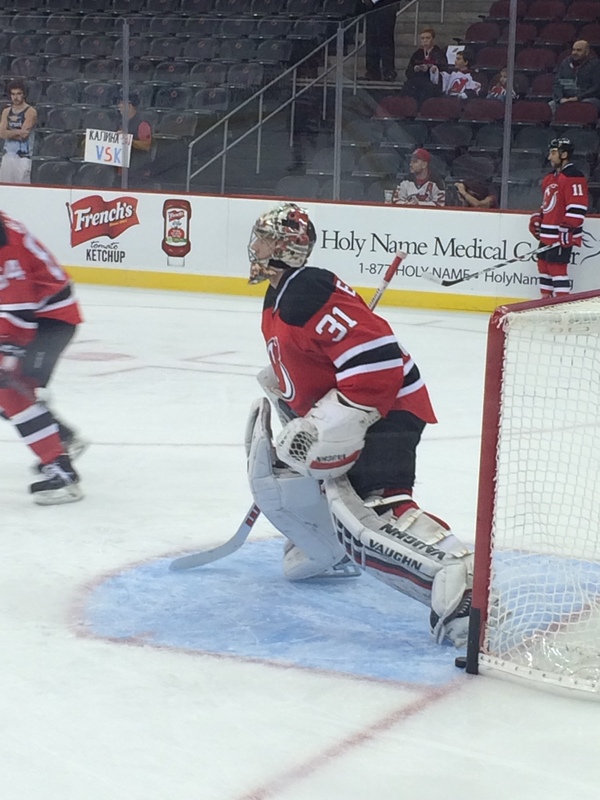 When you get to see the first New Jersey win of the preseason (with a former A-Devil in net in Keith Kinkaid) and reunite with your first favorite A-Devil who remembers you even though it’s been at least 3 years since you last spoke to him…it’s a perfect way to kick off your hockey season. Goaltenders: Ken Appleby, Scott Wedgewood. Defensemen: Brandon Burlon, Raman Hrabarenka, Vojtech Mozik, Reece Scarlett. Forwards: Joseph Blandisi, Blake Coleman, Ryan Kujawinski, Pierre-Luc Letourneau-Leblond, Matt Lorito, Jim O’Brien, Blake Pietila, Mike Sislo, Paul Thompson. The Devils roster stands at 27, so there may be another additional 1-2 players coming later. By the end of next weekend, there will be a clearer picture of who will be here, who stays in New Jersey, and who may be heading north to Adirondack.